Is it possible to watch DVD movies with your mobile phone? Of course, the answer is “Yes”. You can turn DVDs to digital files for offline viewing. Different mobile phones may require different digital formats. You need to figure out the compatible video and audio formats of your mobile phone first. Moreover, the limited storage space is also a serious problem for most mobile phone users. It is not an easy job to convert DVD to mobile phone videos with high quality and small file size. During this time, you need a good DVD to mobile phone converter to deal with all related DVD ripping problems. Aiseesoft Video Converter Ultimate can help you convert DVD to Samsung Galaxy, Nokia Lumia, BlackBerry, Google Nexus, Moto X, iPhone, iPad, iPod and many other mobile phones. You can get various preset profiles with customizable settings. 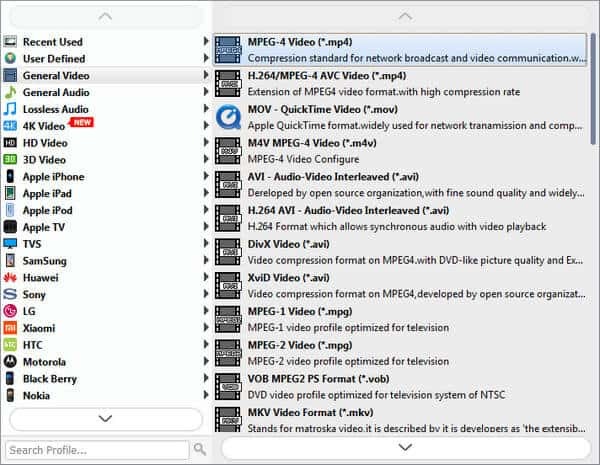 Moreover, you can extract audio tracks from DVD as notification tones without quality loss. If you want to extract the certain video clip instead of the long DVD video, you can clip and merge any video part freely. The DVD to mobile phone converter offers many easy-to-use video editing filters. You can make the video look much better with its powerful video enhancer. Thanks to the advanced video converting technology, you can convert DVD to mobile phone videos with fast speed while maintaining the perfect image and sound quality. Furthermore, you can convert DVD to 2D/3D video formats with 5 different modes. In a word, you can convert, edit and optimize DVDs with the all-in-one DVD to mobile phone converter software. Convert DVD to popular mobile phones with over 1000 video and audio formats. Rotate, flip, clip, merge, add watermark and apply other video effects. 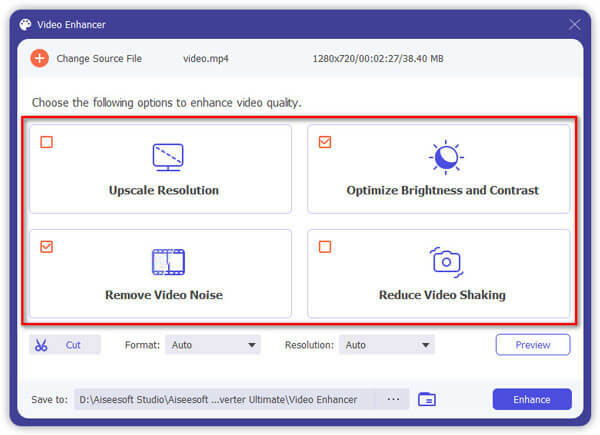 Enhance video quality, brightness and remove video noise in clicks. Add external subtitle or multi-audio tracks to your video. Extract original audio tracks from DVDs and videos and convert as any audio format. Insert a DVD disc into the DVD drive. Wait for a while until it is detected. Then download, install and launch DVD to mobile phone converter. Choose “Load Disc” on the top left corner. Select DVD loading mode from “DVD Navigator Mode” and “DVD Parser Mode”. Click “OK” to access all DVD videos. Head to the bottom of the DVD to mobile phone converter to unfold the “Profile” list. Choose the mobile phone you are using from “Apple iPhone”, “Samsung”, “Huawei”, “Sony”, “LG”, “Xiaomi”, “HTC”, etc. Later, select the target output video or audio format from the certain profile. Click “Edit” on the top toolbar to access video editing tools. The DVD to mobile phone converter has simplified all video effects into simple options. You can monitor all changes in the original and output preview windows. Then click “Apply to All” or “Apply” to save changes. If you want to change the destination folder, you can click “Browse” to set a new path. At last, click “Convert” to convert DVD to mobile compatible video files. After converting DVD to mobile phone videos, you need to put DVD movies to your mobile phone. For iOS users, FoneTrans is the good iOS transfer software. Compared with iTunes, you can transfer photos, videos, music and other files from Mac/PC to iOS devices with FoneTrans selectively and safely. The iTunes alternative will not overwrite your existing files stored in the mobile phone. As for Android users, you can transfer DVD videos from the computer to your mobile phone via USB connection or other mobile transfer tools. By the way, you can upload DVD movies to cloud storage space too. Whenever you want to watch DVD movies on your mobile phone, you can download DVD to mobile phone videos via Wi-Fi quickly. If you want to go outside, you had better download movies from the cloud in advance. Otherwise, you may spend a lot of money on mobile cellular data. You can use the DVD to mobile phone converter to convert DVD to any video or audio file effortlessly. Even beginners can extract videos from DVD with the mobile phone video converter in a short time. Just download the DVD converter software for Windows or Mac and start the free trial right now. How to import music from computer to iPod for portable ear listening? This page shares you 2 easiest but efficient ways to put music on iPod with iTunes and the transfer tool. Looking for an Android manager that's better useful than MobileGo for Android, this article introduces 6 best MobileGo for Android alternatives.